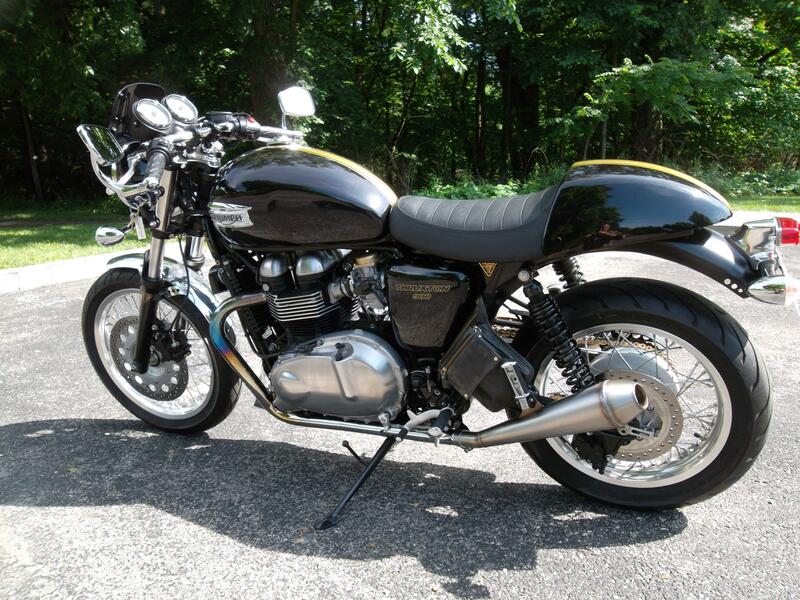 Triumph Forum: Triumph Rat Motorcycle Forums > Twin Talk > Water Cooled Twins Talk > Very small side bag? 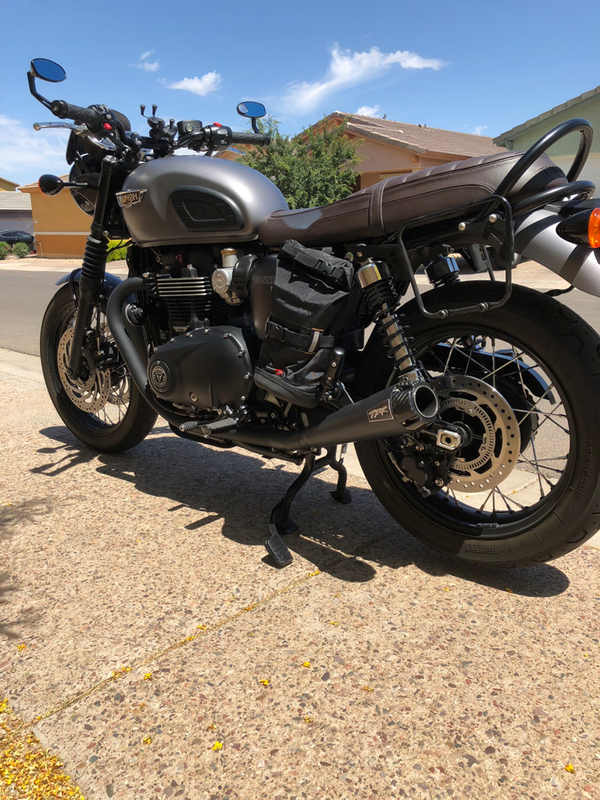 I have throwover saddlebags for my old bike that I could put under my seat, but it’s way too tight of a connection on the Street Twin. Sitting on top of the saddlebag looks dumb and uncomfortable. Just wondering how to get a little bit of temporary storage for this bike. That’s pretty cool. How does it attach? here is my cheapy..the ringlets on top and there is a leather loop in back. I cloth taped the frame with hockey tape, used leather cord and paracord fastners. top to bottom of the bag cannot exceed 10" to fit that triangle in the frame. Last edited by MyEvilTwin; 04-14-2019 at 11:07 PM. Does the bottom just rest behind the passenger peg or is that secured, too? If this question is to me, then yes mine is secured by the back belt loop. No flapping around, very stable. If the question was for my Givi bag, yes it also secures toward the bottom and on top. It just straps on. Its a nice little bag and can hold quite a bit of stuff actually. 1 Attachment(s) Very small side bag?